This Premier Edition Leader Class Transformers lineup showcases some of the toughest, most legendary warriors from Transformers: The Last Knight. Leader Class figures stand at an impressive design with intricate detail, premium packaging, and high-impact weapon accessories (each sold separately). 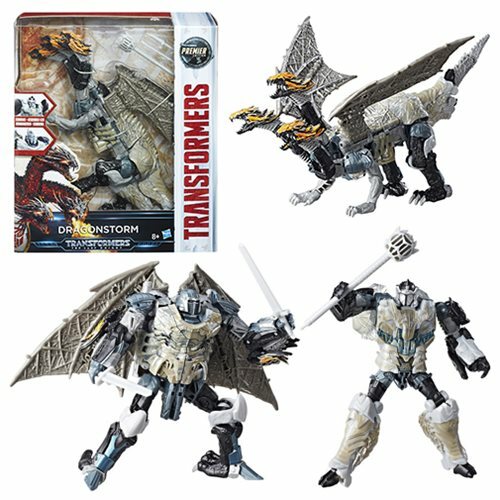 Fans can imagine joining the action with this Transformers: The Last Knight Premier Edition Leader Class Dragonstorm figure. Includes two robots that merge to form a single dragon. Ages 8 and up.